Shop online for 108 caesar plastic models at discounts up to 28%. This is the 1/72 Scale Modern Urban Resisters (Terrorists) (42) From Caesar Miniatures. 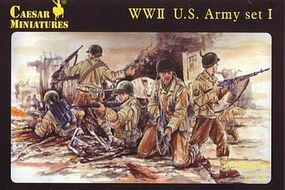 This is the 1/72 Scale WWII US Army Set #1 (41) From Caesar Miniatures. 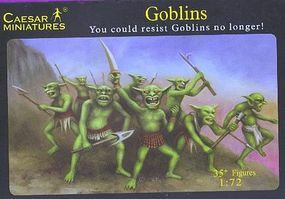 This is the 1/72 Scale Fantasy Goblin Warriors (35+) From Caesar Miniatures. This is the 1/72 Scale Modern US Elite Force (40) From Caesar Miniatures. This is the 1/72 Scale Modern US Army with Desert Equipment (42) From Caesar Miniatures. 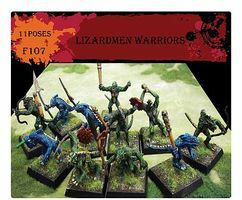 This is the 1/72 Scale Lizardmen Warriors (11) Plastic Model Figure by Caesar Miniatures. 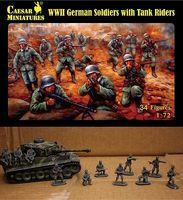 This is the 1/72 Scale WWII German Soldiers with Tank Riders (34+) From Caesar Miniatures. 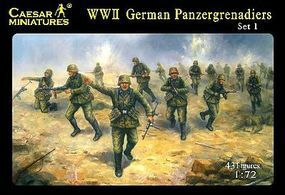 This is the 1/72 Scale WWII German Panzergrenadiers (43) From Caesar Miniatures. This is the 1/72 Scale WWII German SdKfz 2 Kettenkrad with 8/8cm Raketenwerfer 43 Gun & 10/Crew (Kit) from Caesar Miniature Figures. This is the 1/72 Scale Modern Special Forces Worldwide- Elite Police, Seal, Delta Force, Frogman (41) From Caesar Miniatures. This is the 1/72 Scale Greek Warriors (Hoplite) (37) From Caesar Miniatures. This is the 1/72 Scale WWII German Command Staff (9) wih Kubelwagen from Caesar Miniature Figures. This is the 1/72 Scale WWII German 21cm Nebelwerfer 42 Gun & 8.8cm Rakentenwerfer 43 Gun w/10 Crew from Caesar Miniature Figures. This is the 1/72 Scale Pharaoh's Chariot w/2 Horses & Biblical Peasants (11) From Caesar Miniatures. This is the 1/72 Scale Modern Militia Somalian & Asian (36) From Caesar Miniatures. This is the 1/72 Scale WWII Partisan in Europe- French & Balkan Soldiers (32) From Caesar Miniatures. This is the 1/72 Scale Ratmen (12) Plastic Model Figure by Caesar Miniatures. This is the 1/72 Scale Counter-Terrorist Elite Forces (30+)From Caesar Miniatures. This is the 1/72 Scale Fantasy Noble Fighting Elves (35+) (Re-Issue) from Caesar Miniature Figures. This is the 1/72 Scale WWI German Army (45) From Caesar Miniatures.